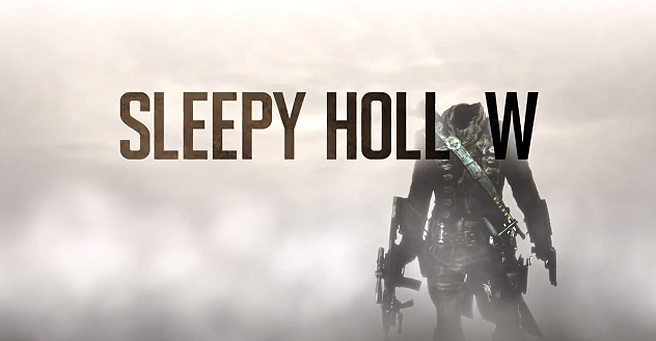 “Sleepy Hollow” was another show that I attempted watching and sadly, could not get through the second episode. The pilot, I really enjoyed, but the second episode had one glaring unrealistic bit within it that I just couldn’t get passed. I blame “Breaking Bad” because that show has been incredibly realistic and it just has set the standard so high for television these days. “Sleepy Hollow” stars Tom Mison as Ichabod Crane. In the beginning of the pilot we see Crane take on a masked man on the back of a horse and eventually beheading him. Oh, by the way, this occurred during the Revolutionary War. Now, Crane has woken up from a deep dark sleep in modern day to a world he doesn’t recognize nor understand. Appearing as if he is insane, Crane is picked up by the police and eventually meets Lieutenant Abbie Mills, played by Nicole Beharie, a Sheriff for Sleepy Hollow. Things become stranger when Mills’ mentor, Sheriff August Corbin, what a name!, played by Clancy Brown is killed by a headless horseman who has risen again! Apparently, Ichabod and the Headless Horseman’s fates are intertwined and the Horseman is one of the 4 Horsemen that appear before the Apocalypse. Oh, also a demon is involved and goes around breaking mirrors, scaring little girls, and snapping the necks of police officers. Now, I liked the pilot. It was dark, it appeared to have an interesting storyline and I liked some of the camera angles that occurred throughout the show. It appeared to be unique in that sense. However, the second episode had a few instances within it that I just couldn’t really conceive because well they just didn’t appear realistic. I know what you’re going to say, a man without a head riding on a horse with red eyes is already unrealistic, but that’s not the problem I have here. I liked those aspects of the show. The one huge problem that I had, was when Lieutenant Mills does a genealogical search and finds out who the ancestor of an individual who died close to the beginning of the country, is, and does it incredibly quickly. Now, first off, how was this accomplished? It was never explained. She just does it. And would you believe it, the relatives of that individual still live in Sleepy Hollow. I’m sorry, what? People move and how did she find out who this person’s ancestor was so quickly? I mean really, from the beginning of America, she was able to trace this individual all the way to present time. Unbelievable. Another aspect of this show that just infuriated me was that nobody, not a single person, references Ichabod Crane as the main character from Sleepy Hollow. Why has this not happened? It’s modern day, this story does exist. Why hasn’t anyone been like, “Ichabod Crane? That’s your real name?”. Seriously? Like from the story? “ Why has nobody at least made that comment? It would be the first thing I would do! In conclusion, I found that this show stretched the truth a little bit too much for me and didn’t react in a realistic fashion in other places. So check this show out if you like that sort of thing….